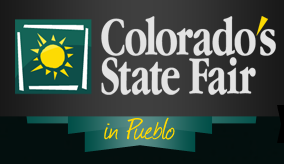 The Colorado State Fair begins today and runs through September 4. This annual event began in 1869 — before Colorado even was a state — with a horse show in Pueblo. 148 years later Pueblo still hosts the fair. The State Fair includes a variety of contests and entertainment, including rodeos; livestock and animal shows; concerts; carnival rides; a 5K run; cooking, baking, and brewing contests; arts and crafts judging, and more. What does the State Fair bring to Colorado? A 2011 economic impact study of the fair reports that the fair brings about $29 million of economic activity into Colorado. Our library also has annual financial audit reports for the State Fair back to 1990; see our library’s online catalog for these and other resources.